When eating vegan or raw vegan, it is perfectly normal to have delectable desserts for breakfast, lunch and dinner! Smoothie bowls are just that…fruits and/or veggies blended together both fresh and frozen and topped with more fruits! This smoothie bowl is a wonderful mix of carrot, ginger, mango and turmeric. 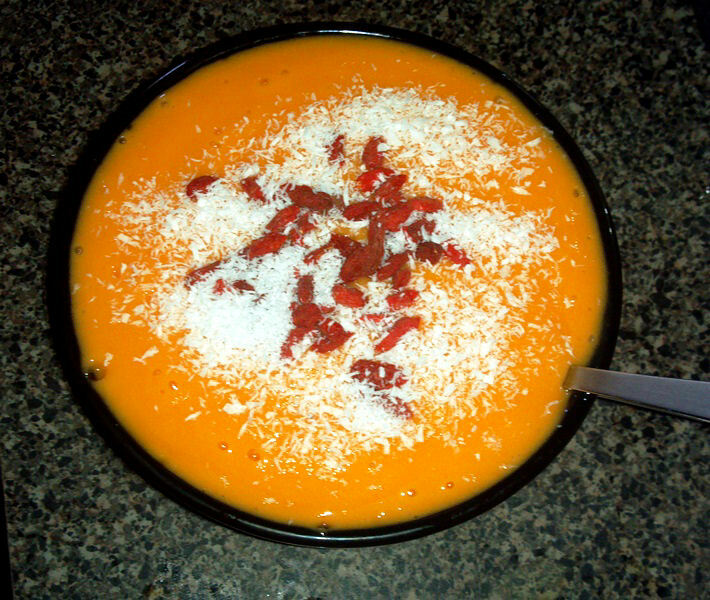 It looks like a raw soup, but one bite of this treat and there is no mistaking it for anything other than a refreshing bowl of sweet, creamy, frozen goodness! Blend the mixture together, adding in about 2 cups of coconut water, just enough to make it a thick smoothie texture. 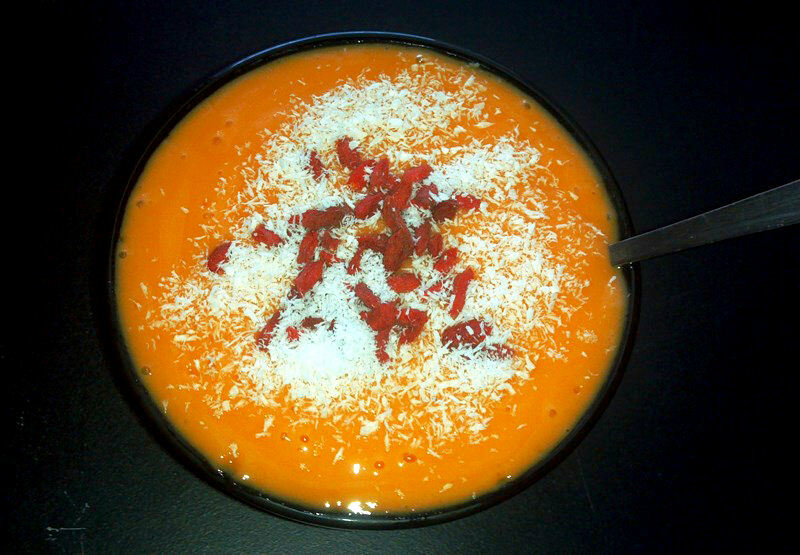 Pour into a bowl, top with shredded coconut and goji berries and eat up! Tastes sooo good!